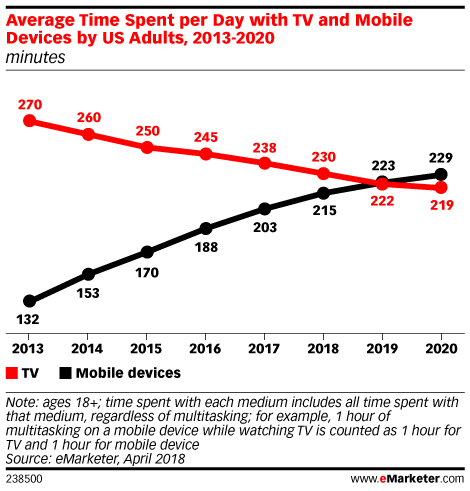 Estimates are based on the analysis of estimates from other research firms, consumer media consumption, company reports and device adoption trends. Estimates of average time spent with media are based on the total US adult population according to the US Census 2010 release, not the number of users of each medium. Figures are rounded to the nearest minute.